Here we have it! 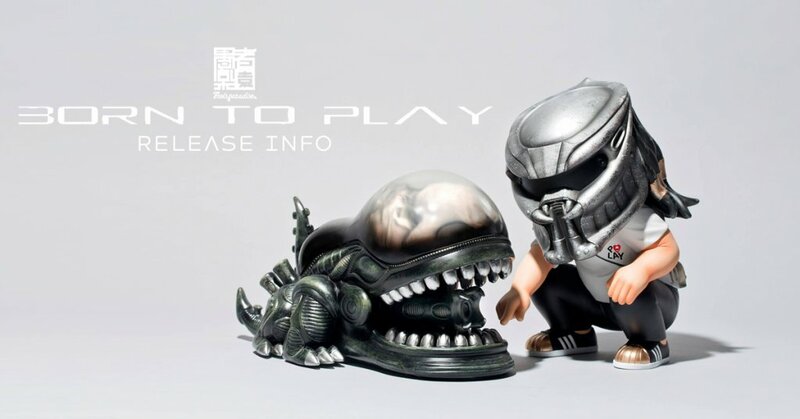 TODAY’s the day Fools Paradise release the all-important release date for “BORN to PLAY” vinyl toy release! Arguably one of their best concepts with includes plenty of nods and homage to classic ALIENS Vs predator and one of our childhood favourite crocodile dentist game. Look a little closer and Fools Paradise has added smaller detail on the T! Ha, anyone for COMME DES GARÇONS PLAY, did anyone spot the kicks?Anyway let’s stop rambling on and show you some photos and the release info that you’ll need for the release.